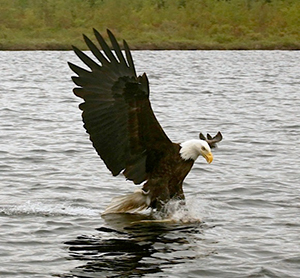 Many of our guests find the fishing action to be fast and furious especially during June into July. The catch and release program that is promoted by our camp and others has proven to be a great influence on the quality of our fishery. 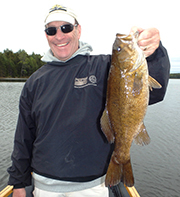 It is not uncommon, when the bite is on, that anglers can approach or even exceed 100 bass per day! 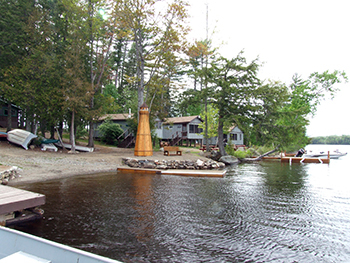 All our Maine lake cabin rentals have a commercial, outdoor grade charcoal BBQ grill available for guests to use. Charcoal is available for purchase at camp, but all guests are encouraged to bring their own. As known by previous guests, some of the camps have outdoor wood fireplaces. As an additional service, split dry wood is available for outdoor camp fires at a nominal fee. Many guests have asked me in the past when is the best time to come? I guess its all in what you are looking for. Fishing in our water and the area lakes all come into "their own" at different times of the year. 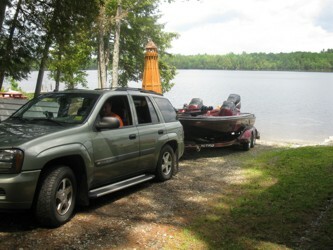 This provides good fishing action from the middle of May to the middle of August. The end of August provides a slower pace but the "bucket mouths" are usually taken during this time. Once September comes, searching for schooling fish can provide some serious fast action. As a general rule, end of May through June will provide "numbers" and July-August will produce some "wall hangers." 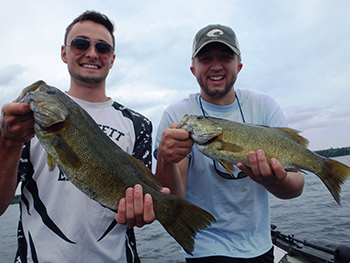 Since, we have over 40 different lakes in our area, by taking a guide for at least one day during your stay; this will provide you with a better opportunity to land that big fish you have always dreamed of. Plus, you "leave the driving to us" so you can concentrate solely on your fishing, enjoy the day and experience a great cooked shore side lunch on an open fire by your guide.